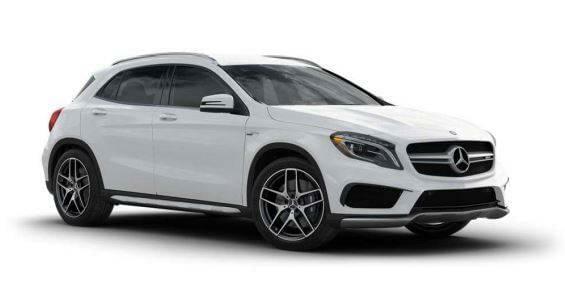 Few sport utility vehicles match the fuel-efficient performance and functional style the 2017 Mercedes-Benz GLA affords. Despite its comparatively compact size, the GLA’s powerful engines, intuitive handling technology, and stimulating features make it an SUV with plenty of oomph. If you’re shopping for the luxurious GLA SUV in the Greater Toronto Area, Mercedes-Benz Brampton’s new inventory never fails to amaze. Visit our dealership in Brampton to see one of the most impressive Mercedes-Benz selections this side of Ontario! 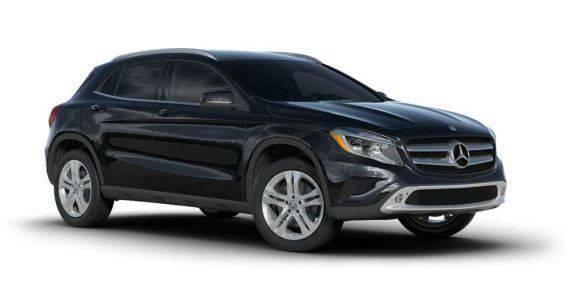 The GLA family encompasses both the candid SUV design and Mercedes-Benz’s emblematic sophistication. From its chrome crosswinged grille, to its aerodynamic side sills, to its integrated rear spoiler, the GLA pays homage to its SUV roots and progressive mechanics. 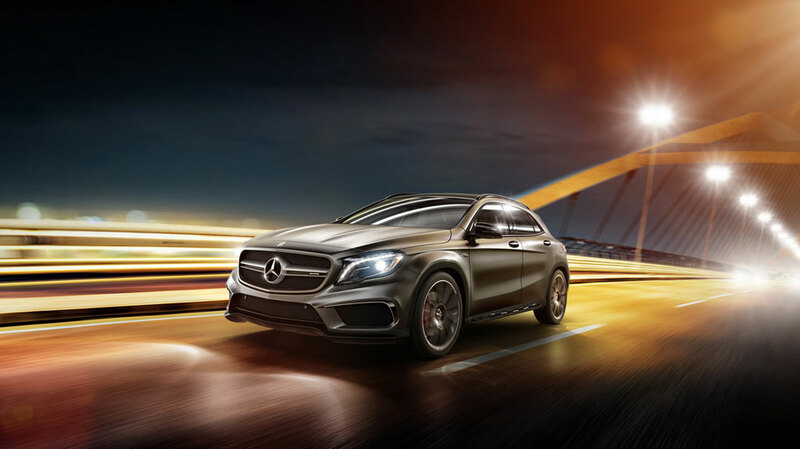 For a more athletic look and feel, the GLA family offers a Sport Package, which includes Sport body styling, Titanium Grey AMG® twin 5-spoke wheels, and perforated front brakes with painted calipers. The optional Night Package builds off the Sport Package, adding Gloss Black exterior accents and Black AMG® wheels. Roping in the GLA family’s collectively impressive horsepower is a 7-speed dual-clutch automatic transmission with shift paddles, which is built to reduce time between gear changes while lessening highway L/100 km. Meanwhile, electromechanical power steering, advanced suspension systems, and DYNAMIC SELECT® grant drivers in Orangeville and the Greater Toronto Area supreme control in a variety of conditions. For those who like to travel off the beaten path, an Off-Road Package comes standard on the mid-level GLA250 4MATIC®. This package incorporates Downhill Speed Regulation, adaptable shift points, accelerator feedback, off-road-ready ESP® and ABS, and an in-dash screen that displays grade percentages and steering and tilt angles. 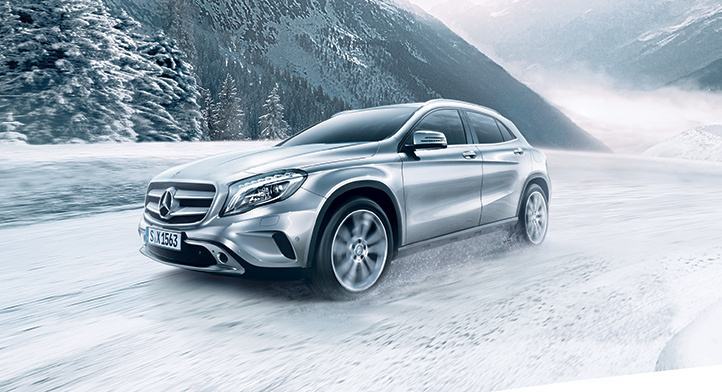 The GLA250 4MATIC® SUV includes 4MATIC® all-wheel drive, as well as a 4-wheel Electronic Traction System for superior torque allocation. This rugged SUV dons the GLA250’s 208-hp turbo engine with ECO Start/Stop, and scores an EPA-estimated 9.8 city/7.4 L/100 km highway rating. The AMG® GLA45 SUV comes equipped with a handcrafted AMG® version of the GLA family’s 2.0L turbo 4-cylinder engine, making way for 375 hp and 350 lb-ft of torque. Able to accelerate from 0 kph to 97 kph in only 4.3 seconds, the AMG® GLA45 gives many performance cars a run for their money. We’re Twenty-Five Minutes Southeast of Orangeville! Brawny yet agile enough to keep the pace, the 2017 Mercedes-Benz GLA opens doors to greater performance, fuel-efficiency, and adventure. Located at 10 Coachworks Crescent in Brampton, ON, Mercedes-Benz Brampton assists drivers in the Greater Toronto Area with choosing vehicles that speak to their styles and driving habits. If you have questions about the GLA SUVs, our sales department is available from 9 a.m. to 8 p.m. Monday through Thursday, from 9 a.m. to 6 p.m. on Friday, and from 9 a.m. to 5 p.m. on Saturday.